Endurance, Activity, Exertion: How Much ? For the past several months I have been concerned that I have been pushing myself too hard and/or too long on my mountain bike rides. I’m 68. I started to become concerned when a younger guy I was riding with stopped for a rest after a tough climb that spiked both our heart rates. He told me, “I ‘m going to rest a bit longer, my heart rate is way up, close to 155 [beats per minute]”. Upon reaching the top of that hill my pulse was 168. When I’m out on trail, I often wear a chest strap heart rate monitor that is linked to my iPhone. My resting pulse rate ranges from 48 to 54 bpm. While I also wear a Fitbit on my wrist, it reads inaccurately at higher levels of exertion. I do use Fitbit to track steps and miles covered while biking or hiking. Here’s a typical profile, obtained from some of the metrics that Strava offers to those of us wearing chest straps, etc. I discussed these concerns with my doctor at my annual physical, who suggested that I consult with a cardiologist. My physician is a great doctor who admits to having no expertise as to fitness/aging heart rates. I asked around and got the name of a cardiologist in Portland who was reported to have experience in this area. My MD made the referral and I eventually received a call fro the cardiologist’s secretary. She blocked me from seeing him, stating that the physician was an electro cardiologist who specializes in determining where an arrhythmia (abnormal heartbeat) is coming from. Doctors consult with him in determining if the patient needs medicine or procedures like a pacemaker, an implantable cardioverter defibrillator, cardiac ablation, or other surgeries. Consultations for my issue was not an efficient use of his time. So, my doctor found me a different cardiologist that was able to see me right away. After reviewing my chart and administering an EKG, that physician told me that whatever I was doing should be continued, and that if anything, he’s recommend a low dose statin to reduce my LDL a bit. He buffered that recommendation due to my strong HDL level. I recently reviewed discussion about LDL levels and statin usage in Medscape. Several articles appeared to challenge the recommendations that have essentially placed practically all aging male in the category of risk for heart attack that leads to statin prescriptions. A recent vision exam lead to further tests that were very useful to me in broadening my own investigation about my particular needs and risks. I have fairly good eyes, or I thought I did until my latest yearly check up with an ophthalmologist. My trusted ophthalmologist had retired this year, so I went with an individual who moved from New Jersey who took up the practice. His initial examination reveled some structural concerns in the posterior region of one of my eyes that suggested concerns about the connection to the optic nerve. He was concerned that I might be experiencing the initial stages of glaucoma. Glaucoma is a group of eye conditions that damage the optic nerve. This damage is often caused by an abnormally high pressure in your eye, and is one of the leading causes of blindness for people over the age of 60. Four additional tests were ordered, one of which was a 30 minute carotid artery ultrasound scan of both sides of my neck, which displayed the results as live-action images on a monitor. The carotid ultrasound showed some age-related plaque but no significant narrowing. My doctor reported this as essentially a normal result and didn’t recommend any further follow-up. The other tests also ended up with normal results, ruling out glaucoma for the time being. Bottom line: I plan to continue to keep up with my normal routine of 75-90 minutes of moderate to vigorous daily of hiking or off-road biking. I plan to continue to use 3 minutes of daily heart rate variability monitoring to gauge my state of recovery and adjust the day’s physical activity accordingly. There is a lot to be said about advocating for one’s self in the medical sphere these days, with a number of studies out there that lead to conflicting recommendations. My 2018 Mileage Goals: MET ! YEAH ! Such a great comment. I have been wishing to hike in the UK since we have recently been watching farming and tiny house tv shows set in Wales. I don’t know when or how but I’ll get there someday. In the meantime, I’ll keep training so I’ll be ready when the time comes. 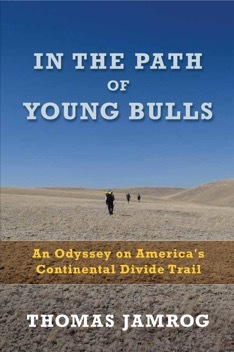 In the Path of Young Bulls details a team’s five-month-long stint of daily challenges along the Continental Divide National Scenic Trail, one of the USA’s toughest long-distance journeys. 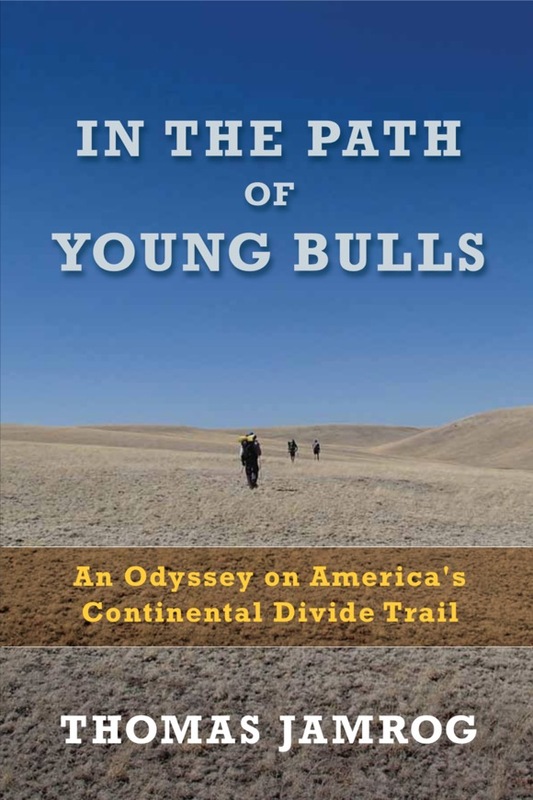 The book also serves as a resource for section and long-distance hikers in planning their own CDT adventures, by including daily mileages from starting and ending locations, as well as on-trail reports and conditions for each day’s hike. 286 pages, with dozens of pages of full color photos.